A few years ago, I joined my mother and a couple of her friends for a late-night dinner, and I noticed something very different about the way her friends ordered. Well, different for me, anyway... They all ordered drinks and an appetizer each. Now, of course I had heard that people did this, and obviously for some people it was totally normal. But doing it myself made me feel funny. Even though I often preferred the appetizer options at a restaurant, I felt guilty only ordering an appetizer. I felt like I was being cheap... Even when I knew I wasn't hungry enough to eat a full entree. I thought the waiter would roll his eyes, or a friend would make a comment. That night I felt fine about ordering an appetizer instead of an entree because everyone else at the table was, but even a week later while out with my own friends I felt funny about it again. A couple years passed, during which time I continued to order entrees, even when I didn't want that much food. I often found myself considering only an appetizer, but always chickened out. Then one day, while I was trying to get into better shape, I decided to order two appetizers instead of an entree. I remember ordering oysters (one of my favorite foods) and a small salad because the entree options all looked too heavy. It turned out to be the perfect amount of food for dinner, and unlike at other times when I forced myself into an entree I didn't really want, I absolutely loved my order. 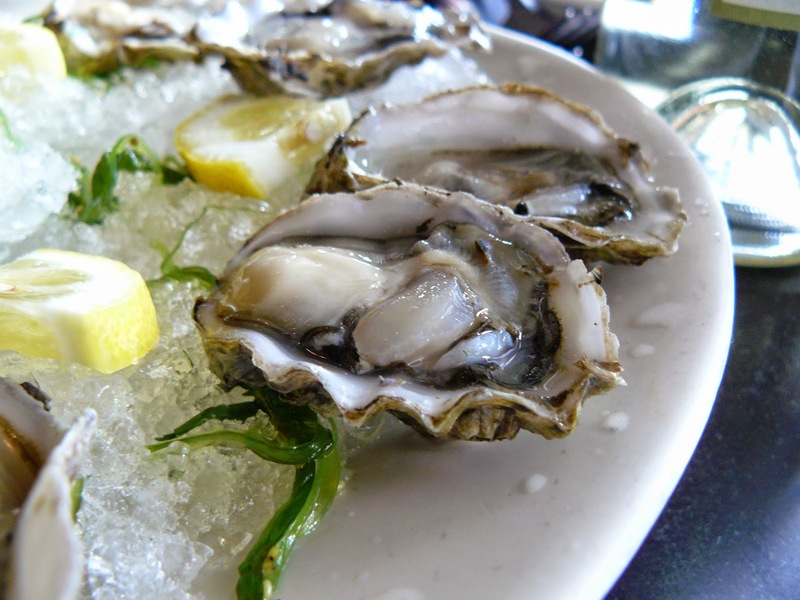 I was hooked, and for the rest of that summer I continued to order oysters alone or with a salad as my meal, and refused to feel guilty that I wasn't spending more money. It was just what I actually wanted anyway. Clearly, this is not a big deal for many people, including some of my mother's friends. But after that summer of oysters, whatever it was that made me feel funny about spending less money at a restaurant has subsided, and now I feel free to order an appetizer "as my meal" whenever I want. It seems like a silly thing, but sometimes we can get stuck paying for things we don't want out of guilt. Have you ever had such a helpful salesperson that you felt obligated to buy an item of clothing you didn't really want? Or friends who are drinking more than you, so you feel obligated to order another? For me, the summer of oysters was a great reminder to follow what I want, not what I think someone else expects. It's so easy to get wrapped up in what one thinks other people expect -- in appetizers, yes, but in so many aspects of life, too. This reminder is important for so many different kinds of things, and I'm glad to have had it. Besides... If my experience was any indication, as it turns out, no one even notices anyway.